Introduction: Vividly written texts are often overlooked or dismissed in the search for reliable evidence about the past. This is especially true in the study of medieval conflict, in which scholars often try to filter conflicting sources to recreate complicated events. The mid-fourteenth century Lanercost Chronicle is a text whose colourfully critical descriptions of Scottish attacks have been denounced as merely ‘crass alliterative effects and a couple of almost impenetrable puns’, full of ‘rhetorical excess’, and of a ‘useless character’, owing to the writer’s perceived patriotic hatred of the Scots. Lanercost’s partisan language is said to ‘spoil the effect of the well-written parts’, and therefore ‘the “real” and modern historians’ insatiable interest in reality does not find satisfaction in this chronicle’. Consequently, the text is viewed as unreliable whenever it departs from bare fact or employs elaborate language. However, all medieval narratives are deliberately written to convey a particular opinion, requiring thoughtful analysis on the part of a reader, especially when the topic is violence and war. To label a writer as biased is to oversimplify and misunderstand the period. 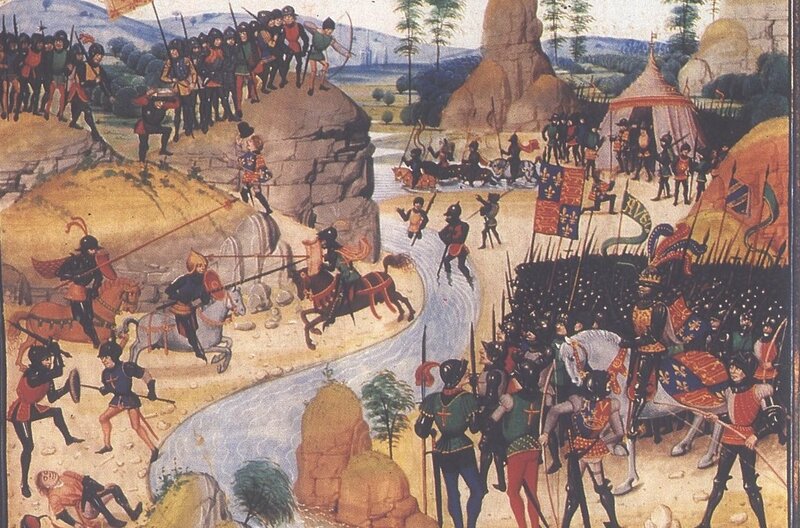 In this article I examine the Lanercost writer’s careful use of voice and agency, spirited portrayal of the Scottish king, David II, attacking the English, and the consequent problematic accounts of English campaigns in France. I argue that Lanercost’s distinctive style is not simply the result of patriotic or anti-Scottish fervour, but instead reflects a sensitive awareness of the death and destruction of war.